HealthDay News — Regular chocolate consumption may lead to a lower risk of atrial fibrillation (AF), according to research published in Heart. The study tracked the health of 55,502 individuals for more than 13 years. 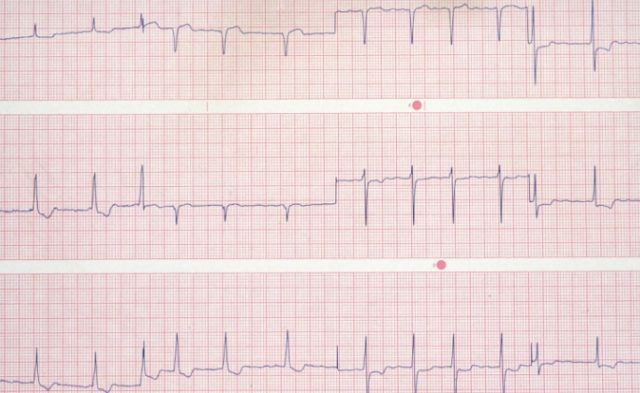 Over this time period, 3346 cases of AF emerged. The researchers found that, compared with people who ate a 1-ounce serving of chocolate less than once a month, the risk of AF was 10% lower among those who ate one to 3 servings a month (hazard ratio [HR], 0.90; 95% confidence interval [CI], 0.82 to 0.98), 17% lower among those who ate one serving a week (HR, 0.83; 95% CI, 0.74 to 0.92), and 20% lower among those who ate 2 to 6 servings of chocolate a week (HR, 0.80; 95% CI, 0.71 to 0.91). The team also found an association with reduced risk among adults who ate one or more 1-ounce servings of chocolate a day (HR, 0.84; 95% CI, 0.65 to 1.09; P-linear trend <.0001). Mostofsky E, Berg Johansen M, Tionneland A, Chahal HS, Mittleman MA, Overvad K. Chocolate intake and risk of clinically apparent atrial fibrillation: the Danish diet, cancer, and health study [published online May 23, 2017]. Heart. doi: 10.1136/heartjnl-2016-310357.